This post appeared on recruiter.com. Have you been so nervous during an interview that you temporarily forget your name or what your previous title was? It happens. Have you been so nervous that the cup of water you’re holding is shaking beyond control? Sure, it happens. Or have you been so nervous that you can’t shut up? Oh yeah, it happens. 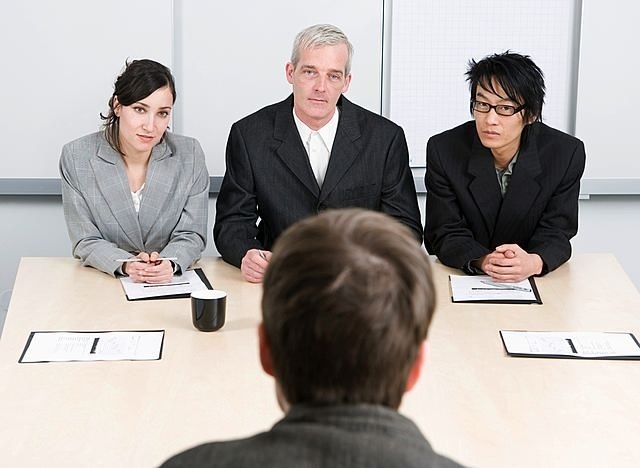 The fact is most people are nervous during an interview; some worse than the aforementioned examples. But how can you keep your nervousness under control? First you must understand that it’s natural to be nervous before and during an interview; that nervousness can overcome anyone, even the most qualified people for the job. But even if you are qualified, expect some butterflies in your stomach, sweaty palms, and dry mouth. As a nervous job candidate, the best you can do is accept your nerves and try to manage them. To do this, it’s important to do the following before and during the interview. 1. Be as prepared as you can. You’ve heard this many times; and if you’re smart you’ve done something about it. You’ve researched the job so you can recite the responsibilities. The same goes for the company. You must go beyond the cursory reading of the job description and company website. Talk with someone at the company, if possible. Also, if you’re on LinkedIn peruse the profiles of the people who will be interviewing you. 2. Practice. Professional athletes don’t go on the baseball field or soccer pitch without practicing in between games. My valued LinkedIn connection and executive coach, Greg Johnson, reminds us that mock interviews or even practicing answering questions in front of the mirror can help reduce the nerves, as it prepares you for the real thing. 3. Request a pep talk. I know, you’re stoic and don’t need others’ help. Everyone can use help for those who are willing to give it. One of my favorite things to do is pump people up before they interview the next day. Simply telling them that the interview is theirs because they’ve prepared for the meeting, they’ve practice, and they’ll be rested for the interview. 4. Get a good night’s sleep. As basic as this seems, being well rested is essential to doing well. Remember the days when you crammed for high school or college exams, trying to mash all that information into one night? Didn’t work too well, did it? Same goes for the interview—do your research over two, three, for days; as it’s easier to remember the information. 5. Take a walk. The day of the interview, I used to take walks. The reasons I did was 1) to relax my mind, clear the negative thoughts, and 2) practice answering the questions I predicted (related to number 2). I gave myself enough time to complete my walk and put on my best duds. It’s important that you feel good and look great before going off to the interview. 6. Admit that you’re nervous. That’s correct. Make a brief statement about how you haven’t interviewed in a while and might have some jitters but are very interested in the position. This will explain a slow start until you warm up and get into high gear. This doesn’t give you the right to completely lose your nerves; eventually you’ll settle down. 7. Don’t let the questions that are very difficult get to you. There are bound to be some questions that stump you, but don’t lose your head if no answer comes to mind. Instead ask if you can think about the questions a bit longer by saying, “That’s a very good question and one I’d like to answer. Can I think about this a bit longer?” Don’t take too long, however. Note: To make matters more difficult, interviewers are wary of answers that sound rehearsed. Take the weakness question: interviewers have heard too often the, “I work too hard” answer. It’s disingenuous and predictable. And never answer, “What is your greatest strength?” with you’re a perfectionist, an answer that carries negative connotations and is, again, predictable. 8. Use your research to your advantage. Whereas some candidates may seem naturally composed and confident, your knowledge of the job and company will be impressive and negate any nervousness you have. Your advanced research will show your interest in the position and the company, something any good interviewer will appreciate. Note: Start an answer or two with, “Based on my research, I’ve learned that…. Simply hearing the word “research” will go over very well with the interviewers. 9. Remember you’re not the only one who’s nervous. Come on. Do you think you’re the only one in the room who’s nervous? Many interviewers will admit that they’re also nervous during the interview; there’s a lot at stake for them. They have to hire the right person, lest they cost the company someone who’s a bad fit or not capable of doing the job. 10. Lastly, have fun. Come on, Bob, you’re thinking. Seriously, don’t take yourself so seriously. Be yourself. You’ve done all you can to prepare for the interview, the research, the practice, a good night’s sleep, etc. What more can you do? Show the interviewers you are relaxed and calm…and right for the job. Have as much fun as you can. Anyone who tells you interviews are not nerve-racking think you were born yesterday. I’ve had exactly two people in eight years tell me they enjoy interviews. Those are people who must either be ultra confident or out of their mind. Even job candidates who do well at an interview, experience some jitters and recall times when they could have done better, including keeping their hand from shaking while holding a cup of water. This entry was posted in Career Search, Interviewing and tagged Be Prepared, interviews, Introvert, Nervous, Neurotics, Practice Answering Questions, research on November 5, 2015 by Things Career Related.